Sponsored by National Science Foundation (NSF), HPDC'15 will provide travel awards for students to attend the conference. 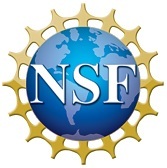 Only students attending a US institution are eligible for the NSF travel support. Please use this online form to submit your application by 5/1/2015. Please send your inquiries to the Travel Award Chair Ming Zhao.